Field and Stream selected the Berkley TEC Pistol Trigger Grip and Gulp! Alive! as 2008 Fishing Best of the Best Winners for lures and accessories. The Fishing “Best of the Best” winners are featured in Field & Stream’s March issue. The Berkley TEC Pistol Trigger Grip is available in a convenient, first-of-its-kind, 8-inch pistol-style model. Made of stainless steel and equipped with oversized grip surfaces this gripper can withstand any toothy fish. Gulp! Alive! comes in easy-to-handle and stackable buckets, which allows baits to be suspended – preserving their powerful scent and shape. Gulp! juice recharge the biodegradable baits and keep them pliable for use at a later time. 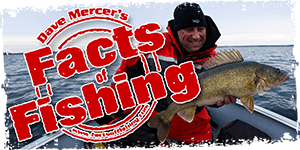 Field & Stream’s list of the best fishing equipment touches on every type of tackle: baitcasting, spinning, and fly fishing. The list also highlights the best fishing accessories, from electronics and lures to sunglasses and outerwear. Berkley received two awards, with Fenwick and Stren each winning a “Best Of” award.